It's more than just a place to sleep. Why Live on Campus at Puget Sound? A strong liberal arts education is one in which all experiences--including the residential component---are integrated to maximize learning and personal development. Regardless of where you live on campus, you will find not just a place to sleep and study, but an opportunity to cultivate new friendships, focus on academics, and pursue interests and co-curricular activities. Students are encouraged to take an active role in their residential lives by assuming involvement and leadership duties in their community governance councils, participating in community forums and activities, or assisting fellow students by becoming members of the Residence Life staff. 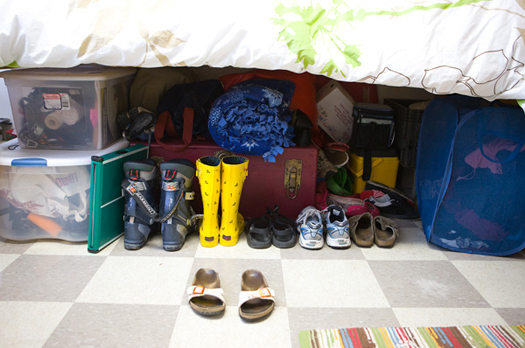 The Puget Sound on-campus housing community provides you with abundant resources and support to help maximize and enhance your academic, social, civic, and community life. The Department of Residence Life will provide a safe, inclusive and vibrant living community that fosters holistic learning for Puget Sound residential students by empowering them as leaders and extending their academic experience.